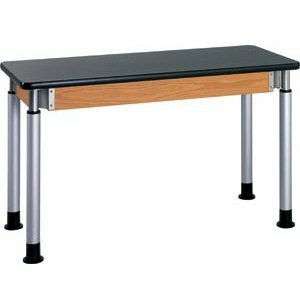 Diversified Adjustable Lab Table with ChemGuard Top 48x24"
All the furniture your Science Lab needs, for less! 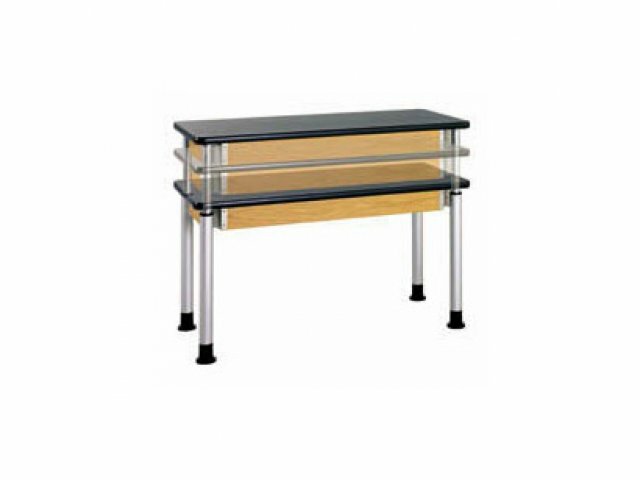 These Adjustable Height Laboratory Tables are perfect for students of all sizes! Wheelchair accessible - ADA compliant. 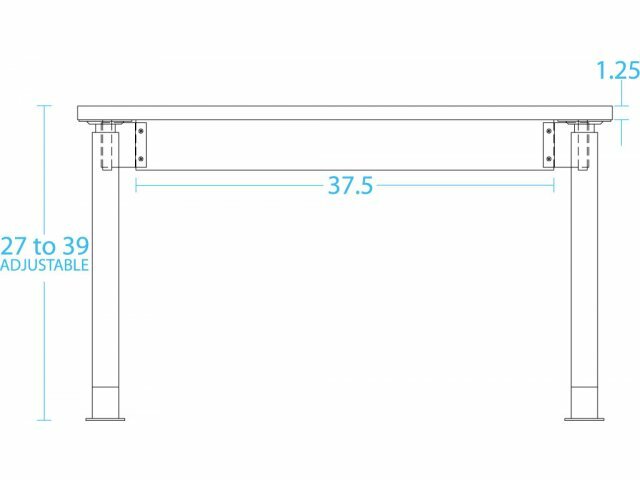 The table legs adjust by moving up in 1-inch increments. The legs must go all the way up in order for them to go back down. 1 1/4" chemical resistant ChemGuard desktop. 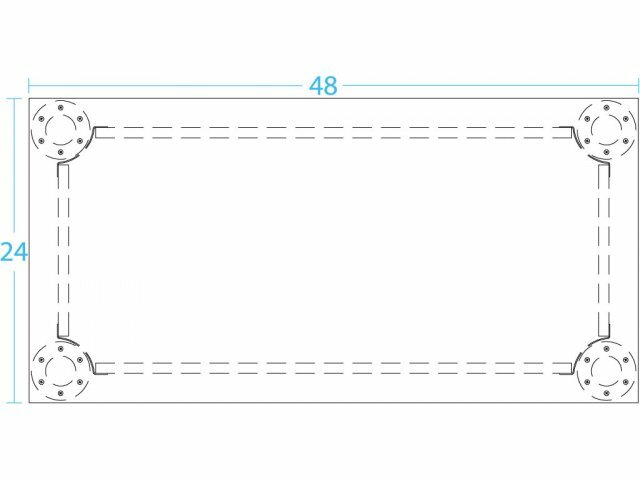 Tables adjust easily - without tools - from 27" to 39" high (plus 3" by twisting the 3" spacer at the bottom of the legs). Raise only one end for an incline table for physics. 4 1/2" high sold oak frame with exposed metal corner braces. 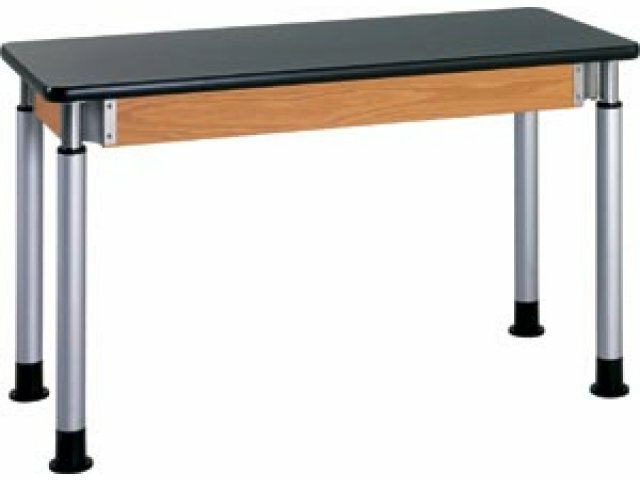 Adjustable glides (standard) or locking casters (optional). 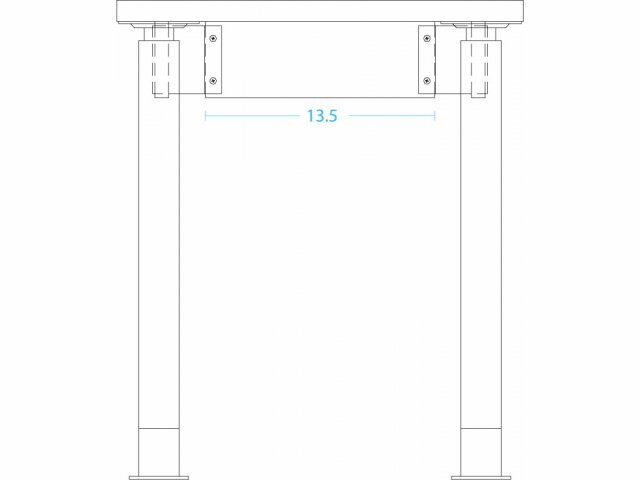 Optional casters are 2.5" high and table with casters would start at 29.25" high.